I layered my photos, staggering them to allow room for the tabs, and then I attached them with Washi Tape at the top so I can flip through them. Once I store this page in my album I can either pull it out to view the photo flip book, or I can cut a window the size of my flip book into my page protector with a craft knife to allow for easy access. You can also use the Tab Punch to include dates or small bits of journaling, to create accents or embellishments, to add layers and clusters, or to create unique borders by lining tabs up side by side. Get creative with your Tab Punch and share your ideas with us! Love the layout! And those tabs, great idea. Where did you get that Font? I love to purchase it. Makes page look really interesting for sure. Pingback: 7 idées pour un album photo scrapbooking détonant ! 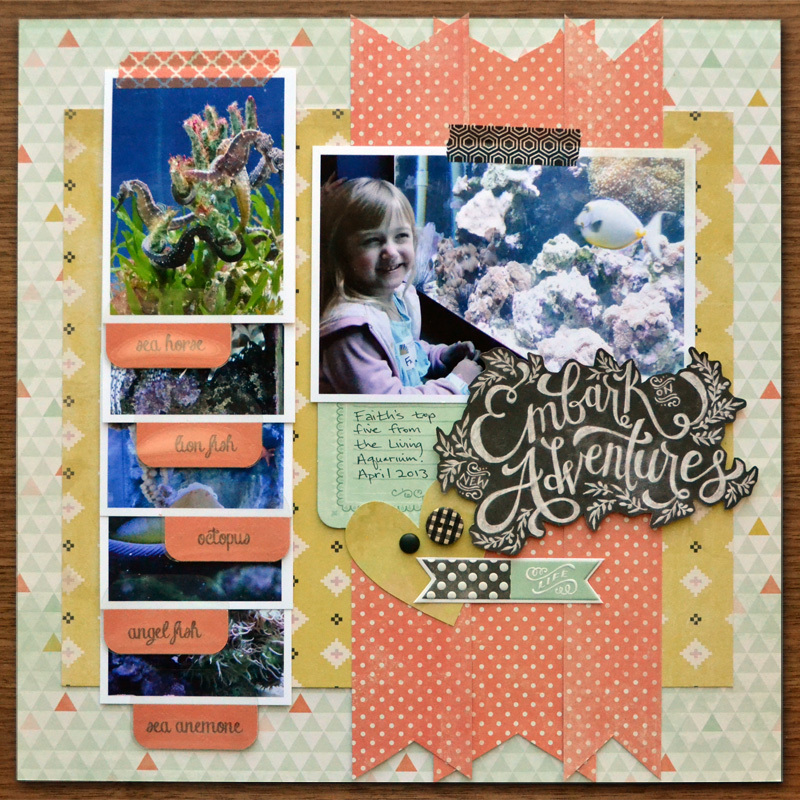 Pingback: Scrapbooking Ideas Roundup: 15 Techniques to Try! Did you laminate the tabs? Are the pics in plastic? Been trying to come up with something like this. Thanks for sharing. What a COOL idea for the tabs and washi tape! BRILLIANT! I LOVE LOVE LOVE this layout! Thanks for the inspiration! 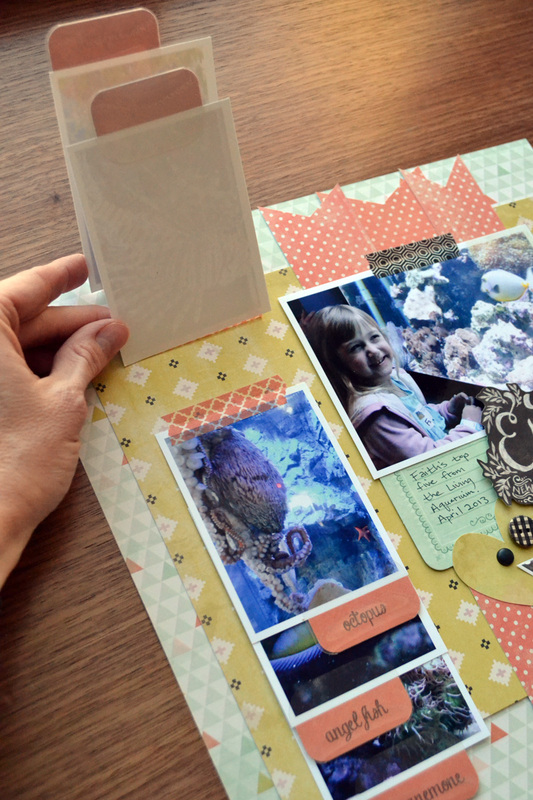 Love the tab punch and love your photo flip book!